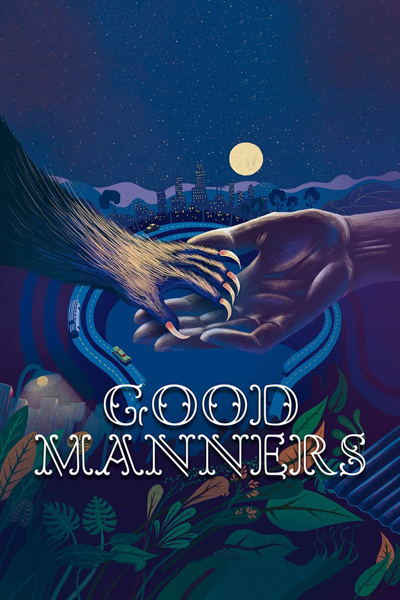 Wondrously weird and a skosh too long, “Good Manners” is a dark Brazilian fable of animalistic passions and social isolation. Swerving from predictable to confounding, dreamy to demented, artful to awkward, this genre-twisting hybrid from Juliana Rojas and Marco Dutra links art house and slaughterhouse with unexpected success. When you drop a werewolf child into a lesbian love affair, you don’t need musical numbers to grasp that you’re watching something unique. Ambitiously allegorical, “Good Manners” dramatizes class and racial tensions in contemporary Brazil by creating contrasting worlds: rich and poor, black and white, high-rise chic and shantytown. Suffused with harp music and gorgeously lighted (the cinematographer, Rui Poças, paints inky shadows you could drown in), the film blends raw horror, deftly composed songs, beautifully drawn storyboards and strong lead performances into a single, elegant package. Leaping forward almost 10 years, the second half shifts gears as Clara struggles to help her intermittently hairy charge (played by the charming, and aptly named, Miguel Lobo) pass in public. The little beast is slowly learning who he is; but, clearly, his directors — who previously collaborated on the drama “Hard Labor” — already have their identities down pat.